I really do! So much so that I made a little homage to spring with the pretty little flowers that are blooming in my garden right now. Do you like it? 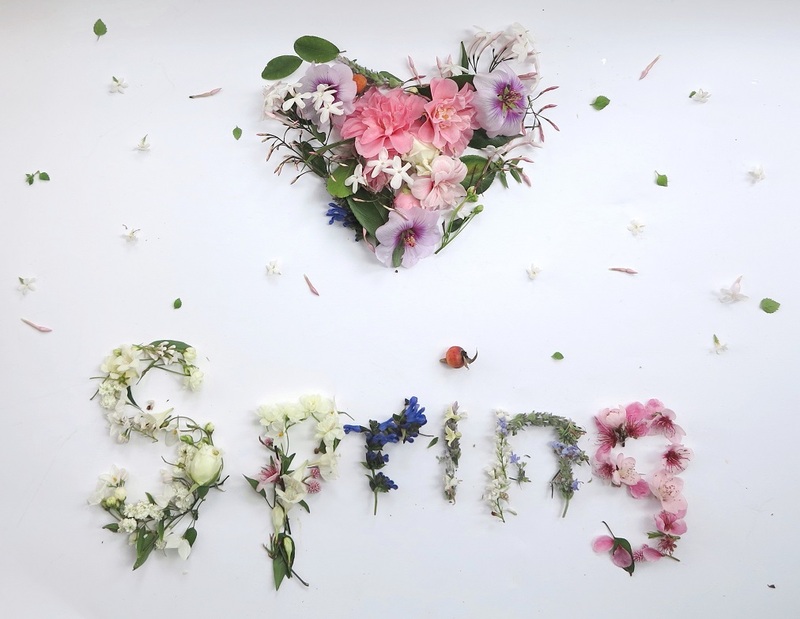 Do you heart spring too? Anyone who knows me would know that Autumn is my favourite season, but spring is nipping at its tail. It’s a very close 2nd… mostly due to the flowers. Oh the pretty flowers. 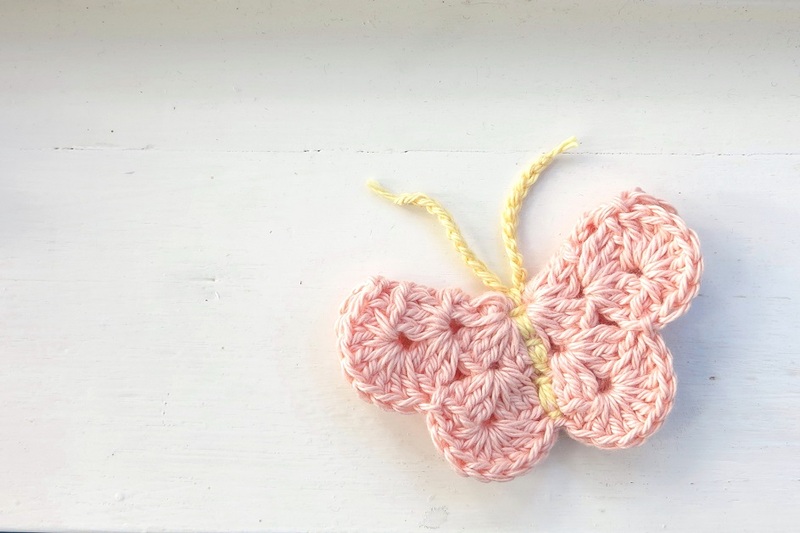 I’m so inspired by spring I’ve even crocheted a little butterfly! Isn’t a cutie? I found a free pattern and great tutorial via pinterest. Big thanks to Marie for the great step by step guide that makes whipping up a butterfly such a pleasure. I did see some other butterfly designs but I love the three dimensional aspect of this one. I think they would make ace little hair pin additions, and even sweet little brooches. 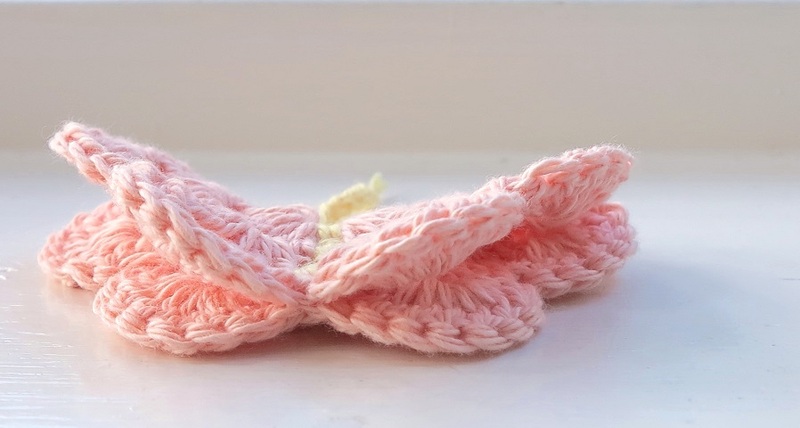 But I have other plans for my little flutterby, as my sweet niece Gracie girl used to call them when she was little. This was my first one so just practice go in thicker yarn. But I’ve got another one on the go in much finer yarn and have special plans for it. I’ll let you what they are if it works! And Spring Meadow… Boy oh boy this little blankie really did try my patience. I had to unravel it… twice! Remember I mentioned something about heart shape clouds last post? Silly idea! Who thought of that? This is what caused the second unpicking session. Needless to say there will be no heart shape clouds…. no…. none. Having said that I’m pretty glad I did unravel it as I don’t think the heart clouds worked anyway. It was a bit much. It’s looking really sweet now and unashamedly girly! Delicate pastel colours inspired by spring, in a gorgeous chunky soft cotton. Just a few finishing touches to go like sewing in the ends, and a wash and block session and it’s done. Are you enjoying springs flower bounty too? Or are you enjoying my all time favourite season of crisp mornings, sunny afternoon and gorgeous autumnal colours like red, yellow and orange? Either way, it’s a beautiful time of the year. Wishing you armfuls of sweet spring flowers (or gorgeous autumn foliage) and delightful sunny days. This entry was posted in craft, crochet, garden, pattern, Photography, Uncategorized and tagged 100% cotton, babies blanket, baby blanket, blanket, blossom cushion, cotton, crochet, crochet flower, flowers, garden, inspiration, photography, spring. Bookmark the permalink. 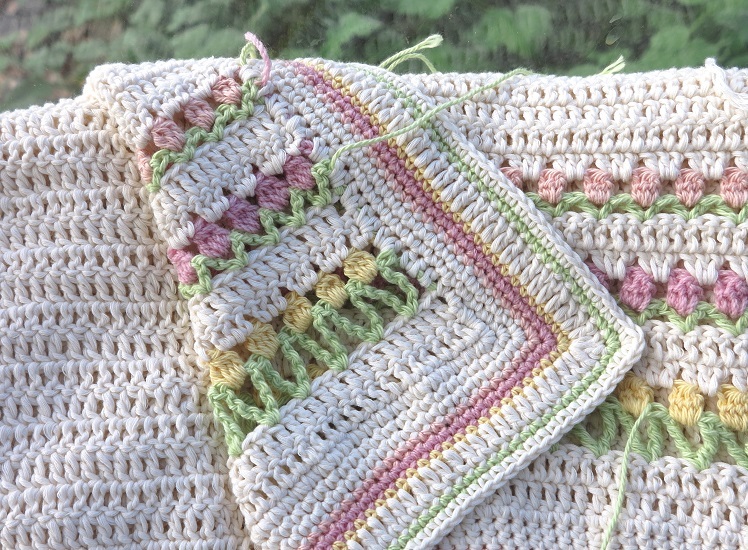 I love the colours in your blanket ~ really pretty, and very spring-like! Thank you so much, they’re such lovely spring shades aren’t they? I reckon I have a flower in each of these colours in my garden at the moment! Oh my gosh it’s all so delightfully springy. I adore that 3d butterfly and I think your blanket might just be the prettiest I have ever seen. And who needs heart shaped clouds anyway. Awww… thanks Kate, that’s probably the nicest complement I’ve ever had on a blankie… means the world coming from a talented knitter/crocheter like yourself too.